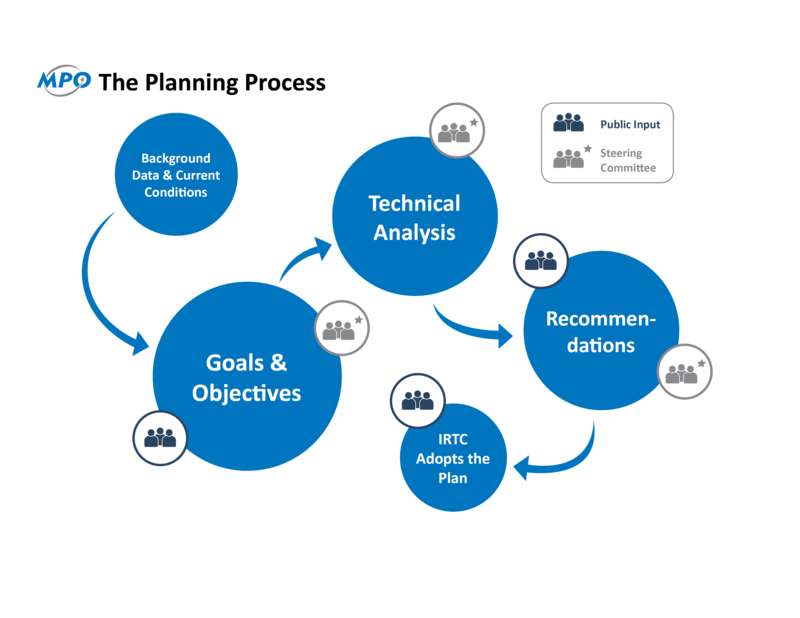 Planning at the MPO includes technical analysis, prioritization, recommendations for what should be built now and what should be built later, and of course much public input that guides us every step of the way. Before we can decide how to distribute our federal funds, we create plans to ensure that the projects that get built are the most beneficial for moving people and goods around the region, and have the least impact on our region's most vulnerable populations. Most planning work at the MPO also involves a steering committee for each project. These are people from various agencies, organizations, and the area being planned to make sure that the project's goals and recommendations are in line with what the residents and business owners of the area want.